The volcano has become restless. 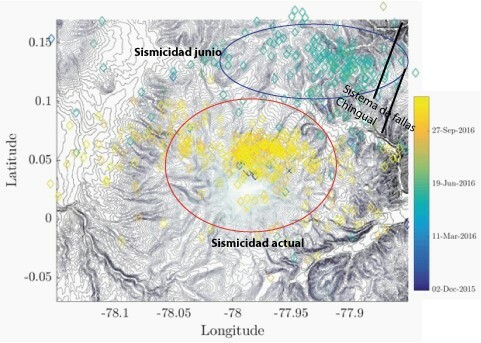 Scientists from Ecuador's Institute of Geophysics (IGEPN) recorded an increased number of earthquakes under the volcano a new report shows. The increased seismicity could be (but not must be) a precursor of renewed activity in the medium-term future (weeks, months?). An increase of earthquakes began on 5 June this year when a seismic swarm of earthquakes started which totaled more than 2300 events by the end of the month. The quakes occurred concentrated in an area NE of the volcano and were volcano-tectonic in origin, likely caused by a magma intrusion at depth causing pressurization and fracturing of rocks. After the June swarm, the volcano returned to calm again first. New earthquakes started to appear in increased numbers from September and have been continuing. Different from in June, the quakes have been concentrated under the summit area of the volcano and been showing an upward trend in depth. In addition, there have been increased reports of strong sulfur smell from climbers who visited the volcano, suggesting that there has been an increase in SO2 emission. Both observations fit into the interpretation that a new magma body has been intruding inside the volcano. Whether or not it reaches the surface (and if so, when), i.e. causes a new eruption, is matter of speculation and cannot be answered with certainty. For now, the signs of unrest are considered weak. They favor the idea that the intrusion of magma is of small volume only.  As a consequence, if there is an eruption to come it is (for now) expected to be likely a small one only. Cayambe's last eruption was only a moderate event in 1785-86, although the volcano has had violent explosive eruptions in the recent geologic record (i.e. past few thousands of years) and merits to be closely monitored.